Connecting Grids are (x,y,z) coordinate maps that define how and where 3D Building Websites and 3D Community Websites are joined. Connecting Grids can use static coordinates – as demonstrated in our 3D CMS functionality – or elastic. 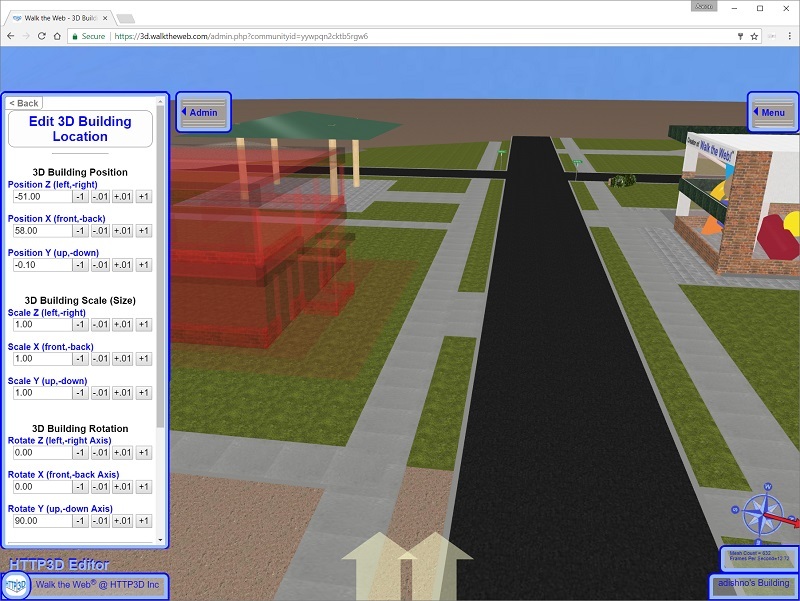 Static coordinates allow for precise placement of 3D Building Websites into 3D Community Websites. 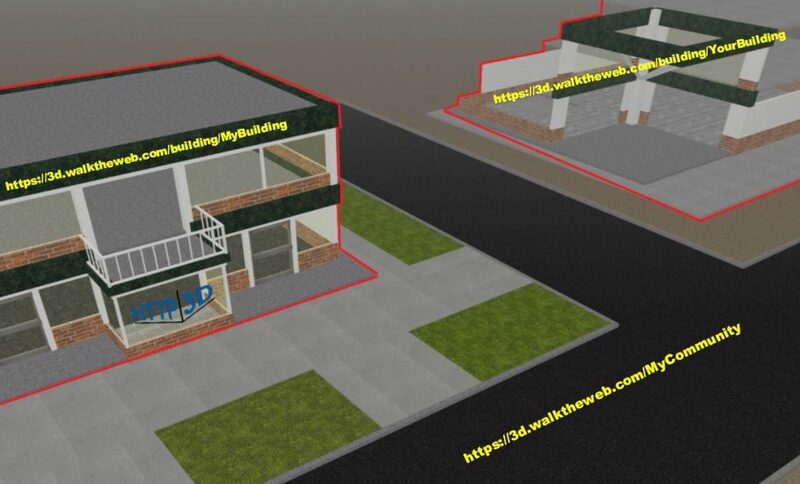 Note that if a 3D Building Website expands its foundation, it could overflow a street, building, or other 3D Object. In the future you will see more implementations of elastic Connecting Grids. Elastic coordinates are designed to be rigid in direction while elastic in distance. This elasticity allows 3D Building Websites and 3D Community Websites to grow without overlapping neighboring 3D Objects. The final product is a 3D Community Website.